That the unique convergence of migratory raptors in Georgia is much determined by the weather conditions in the region is something the BRC team has realized for a long time. Rain events, often lasting several days along the Black Sea shore, regularly inhibit migrating birds to travel here. And rather than circumventing these bad weather events over the inland of the Caucasus, most of the raptor species observed here tend to pile up in huge numbers to the north of bad weather events, finally arriving in enormous numbers at Batumi, as soon as conditions have cleared. We have regularly observed this migration behavior ever since the start of our monitoring activities in 2008. This topic has been/is being investigated intensively in the BRC research group, particularly to better interpret the numbers of migrating raptors observed at our site for monitoring purposes. However our observations of two days ago on August 30th surpassed the expectations of even the most experienced counters currently working in Batumi. 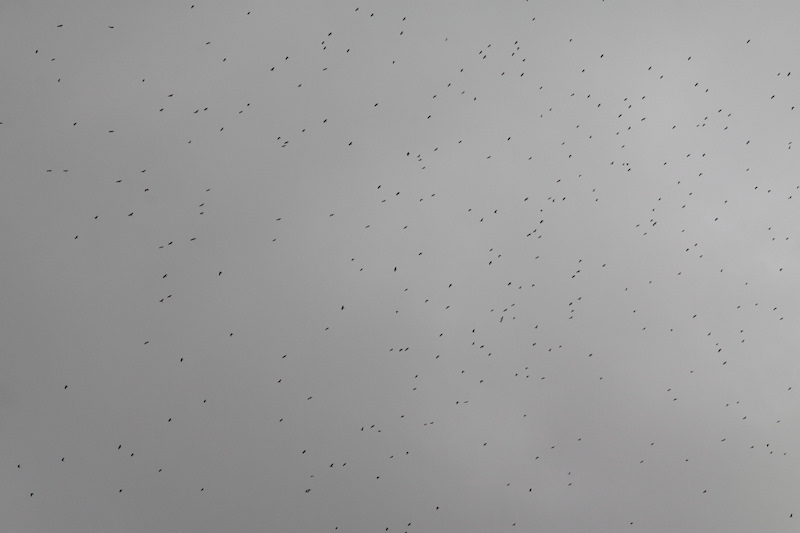 After one day of continuous hard rain on the 29th, where hardly a migrating bird could be spotted, a record-breaking number of 99,038 Honey Buzzards out of 102,293 raptors appeared out of nowhere above our observatories; an astounding number by any measure. The count was even more astonishing as in the week preceding the rain event we had already observed Honey Buzzard migration exceeding 150,000 birds. It is hard to put to words the awe that overcomes you when confronted with such a tsunami of birds. Quite frankly, one should just be here to have any sense of what such numbers really mean. It is magical to feel excitement build among the observers with the ever increasing numbers collecting in vast kettles over the Kobuleti plains to the north … Huge towers of raptors, growing up to several 1000's of birds strong and several 100's of meters in height. And when finally the never-ending stream of birds arrives overhead, and when you hear the tally counters clicking like mad and see your fellow observers laughing -nearly hysterically- with hardly any time to eat, that's when you know what the Batumi craze is all about. 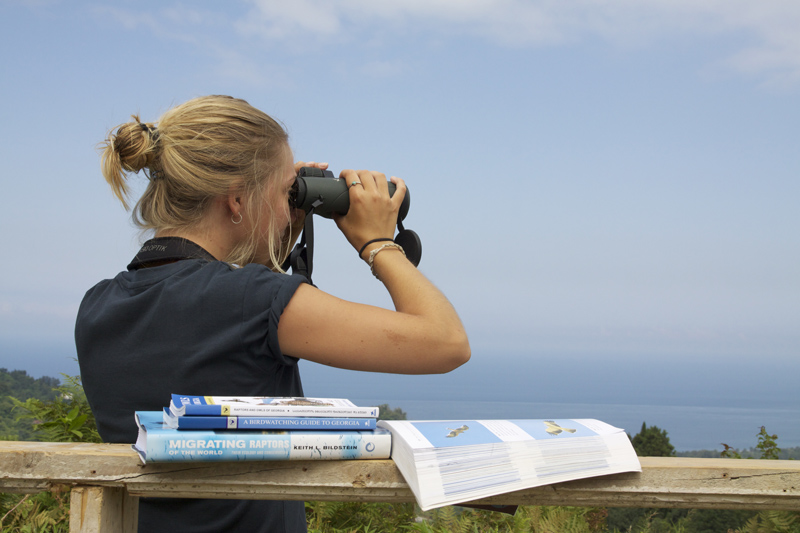 As far as natural spectacles go, the migration in Batumi must be one of the most thrilling in the world. Why the species has arrived in such huge numbers over such a short period of time this early this year is hard to tell without careful investigation. We expect at least some involvement of the weather conditions involved in triggering the start of migration on the breeding grounds, as well as the overall flight conditions en route to Batumi during the week(s) preceding our extraordinary count. We like to note here that our latest observations are in strong agreement with the outcomes of Jasper Wehrmann's Msc. thesis at the University of Potsdam, who is investigating the influence of regional weather patterns on Batumi migration. The same is true for another avenue of BRC weather-related research coordinated by Wouter Vansteelant (University of Amsterdam). 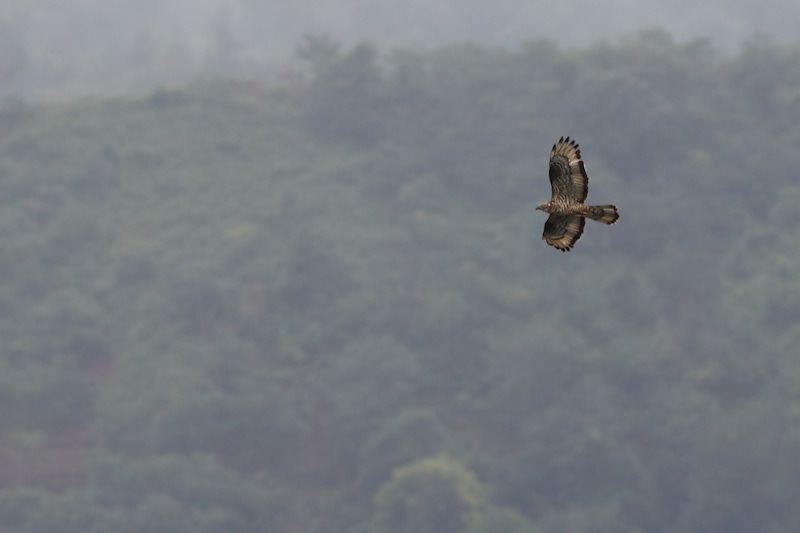 In accordance to the latter research, Honey-buzzards and other soaring migrants are currently clearly being observed to shift their migration routes within the Batumi bottleneck coastward in response to strong cloud development over the Pontic Mountains in the local subtropical climate. The publications of these investigations and their conclusions with respect to the ongoing monitoring activities at BRC are expected later this year.